Blagica Petreski has been awarded the Young Researcher Prize of the Year in the field of Macroeconomics by the National Bank of the Republic of Macedonia in April 2010. The awarded research paper was “Analysis of the effects of banking system development for the economic growth: The case of Macedonia”. 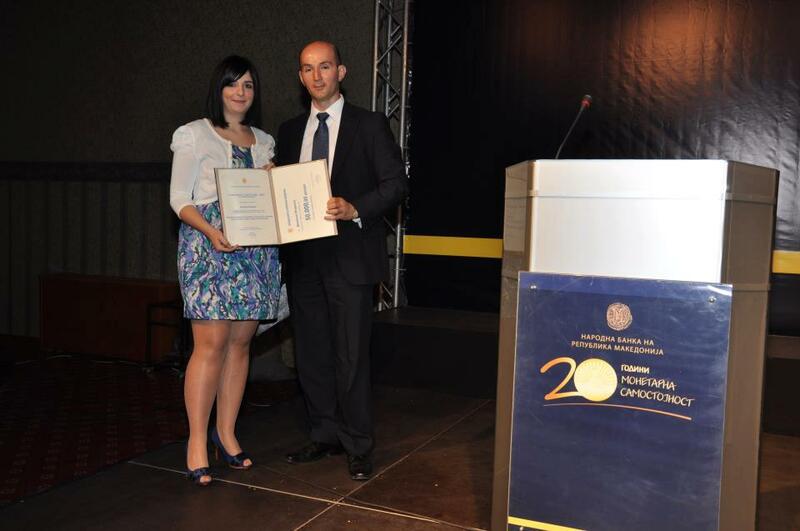 Despina Tumanoska has been awarded the Young Researcher Prize of the Year in the field of Macroeconomics by the National Bank of the Republic of Macedonia in April 2012. The awarded research paper was “Empirical analysis of the Feldstein-Horioka Puzzle in transition economies, with reference to Macedonia”.